The hotel staff was excellent, and the food was fresh. 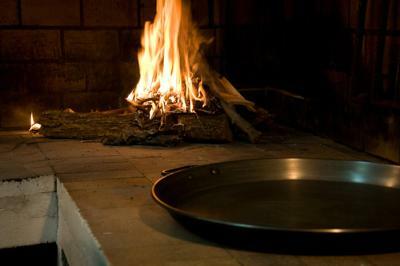 Much of the food came from the owner´s farm. The room was basic, without a lot of frills, and that was fine. The price was perfect. Habitación cumple requisitos calidad precio. 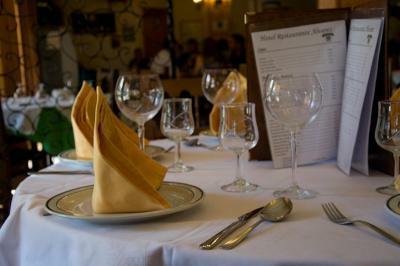 Trato excepcional en el servicio de restaurante amabilidad , atención, servicio y buena cocina. 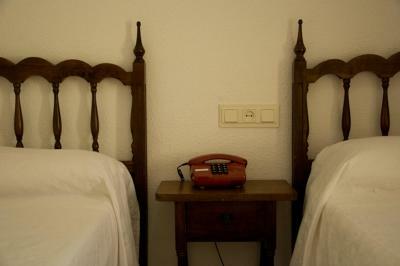 Het is een hotel met de mogelijkheid om er te ontbijten en te dineren ( geen gebruik van gemaakt ). Je hebt er een kamer met een klein balkonnetje en redelijke bedden en een privé badkamer. En je kunt er gemakkelijk parkeren. El hotel es muy acogedor y el trato fue muy amable. 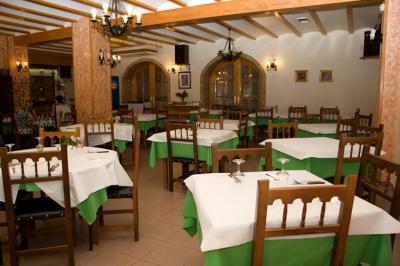 Además, tiene también un restaurante y la mayoría de las comidas, cenas y desayunos fueron allí (en el pueblo no hay muchos más sitios). Estaba todo muy rico, una buena calidad-precio y el servicio genial. Hotel Álvarez This rating is a reflection of how the property compares to the industry standard when it comes to price, facilities and services available. It's based on a self-evaluation by the property. Use this rating to help choose your stay! 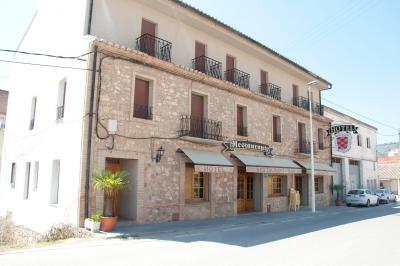 The family-run Hotel Álvarez started as a bar-restaurant and still serves homemade local specialties today. 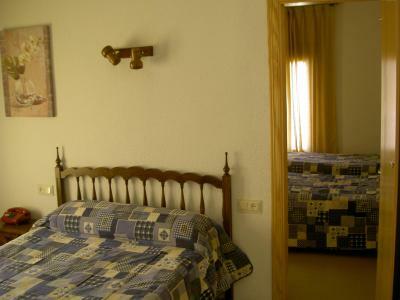 Located in the mountain town of Tuéjar, it offers free Wi-Fi and free parking nearby. 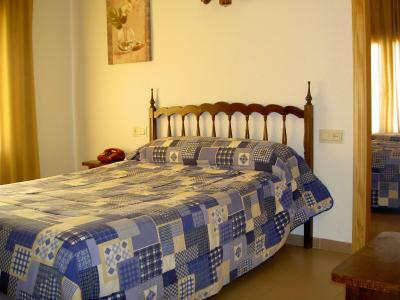 Featuring tiled floors, all rooms have air conditioning and heating. There is a TV and wardrobe, and the private bathroom comes with a bath tub. A continental breakfast is available in the restaurant. Luggage storage is offered and there is a tour desk. 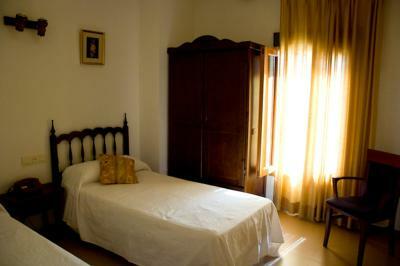 There is easy access to the CV35 Main Road, which takes you to Valencia in an hour. This property also has one of the top-rated locations in Tuéjar! Guests are happier about it compared to other properties in the area. 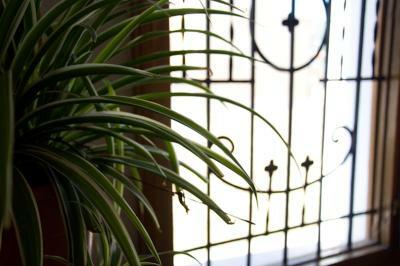 This property is also rated for the best value in Tuéjar! Guests are getting more for their money when compared to other properties in this city. 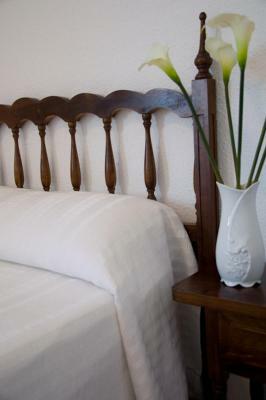 When would you like to stay at Hotel Álvarez? 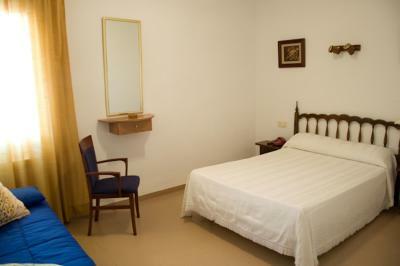 Featuring tiled floors and free Wi-Fi, all rooms have air conditioning and heating. There is a TV and wardrobe, and the private bathroom comes with a bath tub. 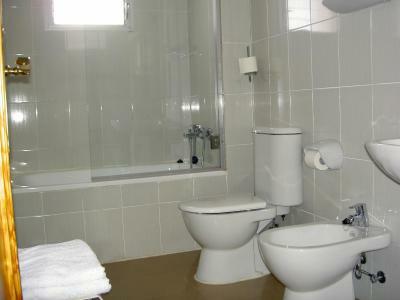 Quadruple Rooms consist of 2 separate rooms, sharing one bathroom. House Rules Hotel Álvarez takes special requests – add in the next step! 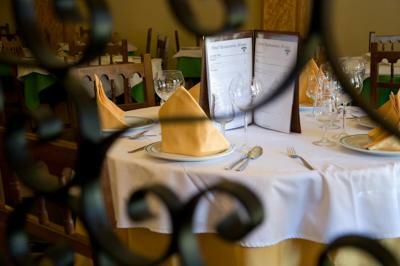 Hotel Álvarez accepts these cards and reserves the right to temporarily hold an amount prior to arrival. I would have like a lift so make it easier to cary up the luggage. But that´s not a big deal. Just be aware there isn´t one. The area was quiet at night, but the noise from the street could be heard from the room. This is typical with Spanish construction, though.